Family Vacations and Bad Pictures! Since about the time my children hit the teen years they stopped smiling for pictures. They do however smile for pictures when they are goofing off and they think it will get a laugh. They can be laughing and having a great time and if I pull out a camera to snap a family picture you would think by the looks on their faces we were in the 1800’s, living in a dirt floor cabin, poor, hungry and wearing itchy potato sack underwear. FAR FROM THE CASE! At least that is what the frowns say that I capture! I found the best pictures I have of them is with their backs turned to me. I know the smiles will come back when they get older and when they realize it won’t kill them to show a toothy grin but until then I will keep snapping pictures. I am a mom, it is what I do. 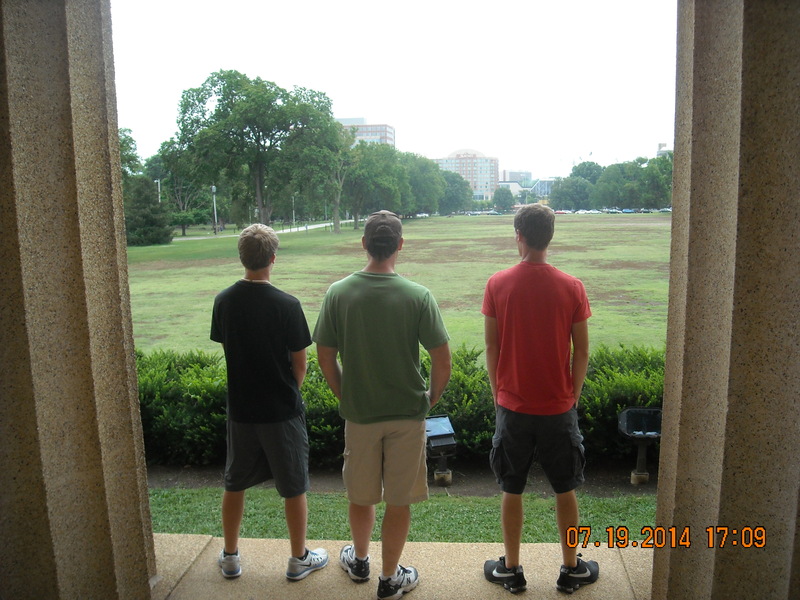 This picture is at the Parthenon in Nashville this summer- backs turned to me of course!